You love your camera kit. Of course you do, it's beautiful! But wouldn't it be great if you could make use of it—by which we mean, well, look at it—while it wasn't in use? That's where Phlite might just come in. 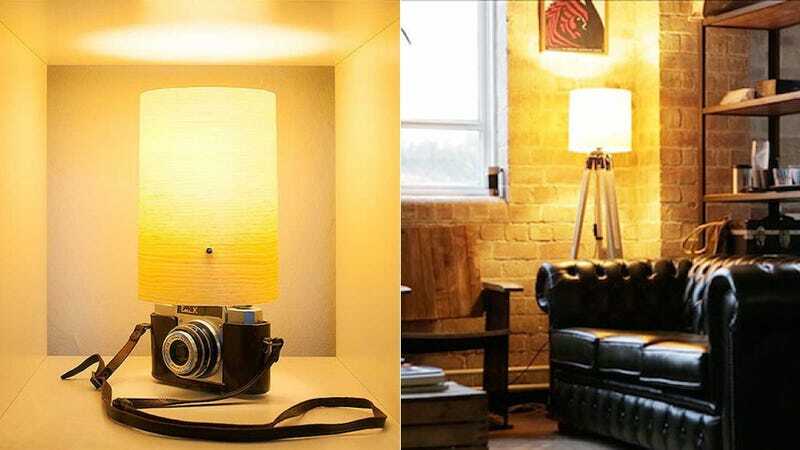 The idea is that Phlite transforms your camera gear into a desk, table or floor lamp in a few seconds, so you can make use of it when you're not shooting. It does that by attaching a lamp to your camera, via the hot shoe, or to tripods and lightstands using a proprietary clip. Simple! Fortunately, the lamp fitting is also designed to it can work standalone, so when you run out of your house and need your SLR, you can quickly unclip it and not leave the place looking a mess. Which is neat.